Ampersand quality, affordably priced! Ampersand's Value Series Artist Panels are crafted specifically for students, hobbyists, and budget-minded professionals. 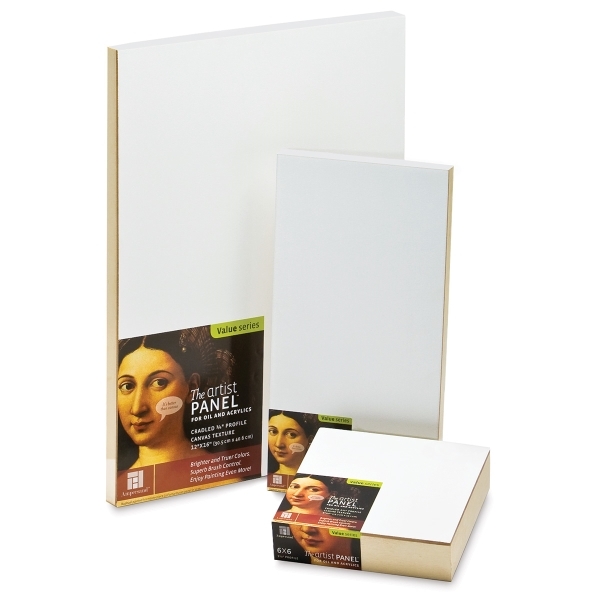 Manufactured to the highest quality standards, they have many advantages over stretched canvases. 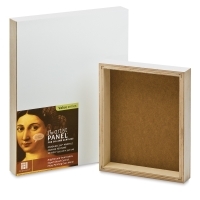 This ready-to-paint panel features top-quality, medium density fiberboard (MDF) coated with premium, acid-free acrylic gesso. The canvas-like surface provides a bit of brush drag for superb control, and results in brighter, truer-looking colors. This panel is able to support heavy paint layers in oil or acrylic, including palette knife painting and other vigorous techniques. It's also perfect for mixed media applications, collage, and assemblage. The panel is available in three profiles — a 3/8" flat panel with hanging slots on the back, as well as 3/4" and 1-1/2" cradled panels. The cradle support frames are handmade using birch plywood and are left unfinished. ™ Ampersand is a trademark.™ The Artist Panel is a trademark.